In the central part is nightingale turned left. 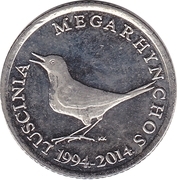 Along the edge is written Latin name of the nightingale (LUSCINIA MEGARHYNCHOS). Along the lower edge, in the central part, are written the years 1994.-2014. Signature KK is placed near the nightingale's foot. In the upper half-circle is placed marten running to the right. 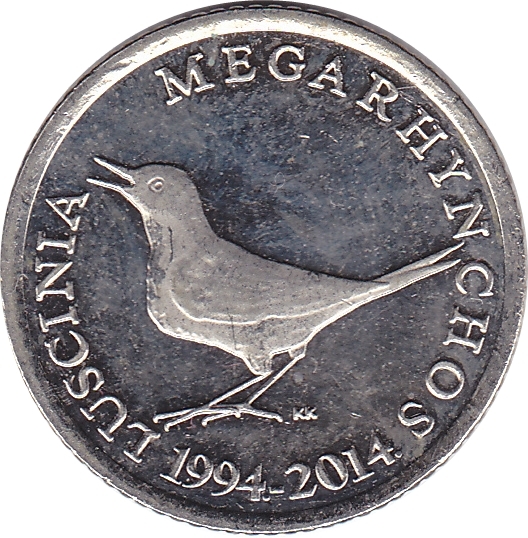 On the outstretched marten's body is written the upright value of the coin "1". 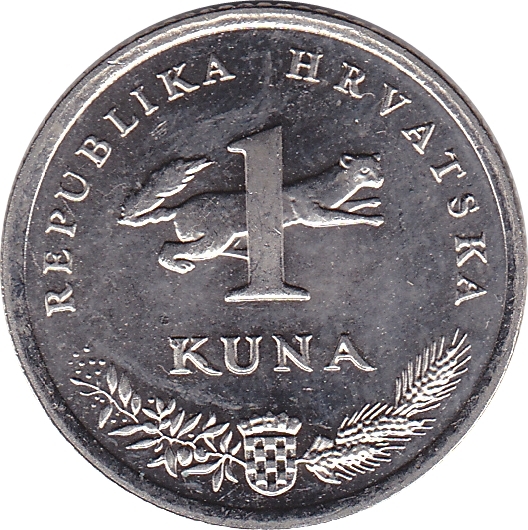 Under the number "1" is written KUNA. 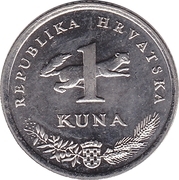 Along the edge of upper half-circle is written The Republic of Croatia on Croatian (REPUBLIKA HRVATSKA). Along the lower edge, in the central part, is placed the coat of arms of The Republic of Croatia. On the right side of the coat of arms is placed stylized wheat ears and on the left side of the coat of arms is placed stylized olive branch with fruits.